Steve Cadigan is a globally acclaimed Talent Exec with over 25 years of global human resources experience. Steve has practiced HR in the US, Canada and Asia-Pacific and has worked on dozens of complex acquisition integrations around the globe. Most recently, Steve served as VP Talent at LinkedIn and took the company from a private firm of 400 employees through an IPO and into the powerhouse that it is recognized as today with nearly 4,000 employees. Prior to LinkedIn, Steve served as VP of HR at Electronic Arts, Global VP of HR for PMC-Sierra and Director of HR for Cisco’s Asia Pacific region. Steve was repeatedly recognized for building world-class teams, cultures and organizations. He holds a BA in History from Wesleyan University and an MA in HROD from the University of San Francisco. Today Steve spends his time raising his 3 sons, speaking, mentoring & coaching leaders, and serving on several Advisory Boards in Canada, Spain and the US. James is an experienced enterprise consultant with an interest in exploring the interaction between people and technology. He applies socio-technical system thinking and innovation-based change management methods in his consulting work, aiming to optimise the performance of digital technologies in the workplace by creating human-centred IT solutions. He is also an experienced workshop facilitator, specialising in participatory design and visual thinking. James is a sought-after commentator; he has written numerous articles that have appeared in books, journals and publications such as CMS Wire, Image & Data Manager magazine and the International Association for Human Resource Information Management. James holds a Master of Business & Technology from UNSW and is a past president of the Illawarra ICT cluster association board and a committee member (and former chair) of the NSW KM Forum. He has worked with a range of blue chip and government organisations including AMP, Ausgrid, the Australian Taxation Office, BHP Biliton, Blue Scope Steel, CSC, the Department of Immigration and Citizenship, Ernst & Young, the Government 2.0 Taskforce, ING Australia, Queensland Rail, Rio Tinto, Optus, Sydney Water, Telstra and Zurich Financial Services. Kristine Dery is a Senior Lecturer at the University of Sydney Business School. Her research interests include Mobile Connectivity, Digitally Disrupted Spaces and e-HRM (including e-recruitment). She has published widely in the area of the impact of technology on the nature of work and is particularly interested in new ways of working and the challenges for management. Based on his previous career in industry, Steve’s research focuses on technology-enabled business innovation and transformation, particularly where driven by Environmental Sustainability. He co-leads an international project funded by the US National Research Foundation to support business responses to the challenges confronting ecosystems and biodiversity. He leads the Business Environmental Sustainability Research Group in the University of Sydney Business School. Steve’s experience with technology-enabled disruptive business innovation in both research and collaborative roles encompasses: corporate treasury risk management; mobile payments; mobile service delivery; mortgage application processing and approval; online B2B banking; online retailing; and procurement. Most recently, his experience is in disruptive business transformation driven by Climate Change. Ben is the Lead for Capgemini’s Digital Transformation consulting practice for the ANZ region with a specific focus on the application of digital,both with customers and within operations, to drive business value. He has defined the strategy for, and delivered, multiple digital transformation programs for a range of clients in Asia-Pacific and Europe. He regularly publishes applied thought leadership on digital and has developed several methodologies for this domain. Adam Holloway is the National Manager of the Partner Services Sales team for Cisco Systems ANZ. Adam has been with Cisco for ten years delivering architectural vision and technology to customers driving innovation and collaboration, while reducing cost of operational expenditures and time-to-market. Prior to Cisco, Adam has held various positions in consulting, engineering, and management for U.S. Federal system integrators. In his current role, Adam is responsible for driving profitable growth and market leadership for the Cisco services business portfolio, which delivers strategic consulting, professional and technical services solutions to customers and partners. His focus is helping customers achieve high levels of innovation and productivity through technology while accelerating market adoption of key industry inflection points such as cloud, video, and collaboration. Adam graduated from James Madison University (USA) in 2000 with a Bachelor of Sciences in Integrated Science and Technology and has completed his MBA from the University of Sydney in 2013. He has held various industry certifications such as the Certified Information Systems Security Professional and Cisco Certified Internetworking Expert in Voice Technologies. Adam gives a talk on disrupted TV rooms. Cai is a partner and co-founder of Optimice, a leading Organisational Network Analysis consulting company based in Sydney, Australia. Cai is an expert in mapping collaboration patterns within in between organisations. These collaboration patterns are rarely visible in organisational charts or business process diagrams. Optimice use the insights about how work gets done to help organisations work smarter, faster and be more innovative. Visit http://www.optimice.com.au to learn more. Brad Krauskopf is an entrepreneur who activates spaces that unleash the energy of diverse people, organisations and cities. As CEO and Founder of Third Spaces Group, his first venture, Hub Australia, has grown to become Australia’s largest coworking community. Leveraging this experience, his latest venture, CoActiv8, is working with government and corporate to activate collaborative spaces in CBD offices and a national network of work hubs in suburban and regional Australia. He was recently named Australia’s Small Business Ambassador for 2013. Dr. Olivera Marjanovic received her PhD (Information Systems) from the University of Queensland and is currently working for The University of Sydney Business School. She has over 23 years of experience in industry and academia, and has published over 130 refereed conference and journal publications. Through her applied research Olivera seeks to link data and business analytics, knowledge-intensive business processes, services, human knowledge and technology in business, government, co-operatives and non- profit organizations, aiming to assist them in effectively managing IT-enabled organizational innovations. Olivera is a leading expert in Big Data and Business Analytics. Together with colleagues from Deakin University & the IBM Centre of Excellence in Business Analytics, she has been awarded a large government grant supporting research and design of Visual Analytics environments of the future. Matt co-facilitates the anti panel “Disrupting Expectations”. Viren serves as the CIO for Specialty Fashion Group in Sydney, where he oversees Omnichannel Retail, CRM, Mobility, Global Strategy & Operations, and Mergers & Acquisitions. He has previously held various senior leadership roles with global retail giant Walmart, such as New Market Entry Leader, Director Supply Chain Innovations and VP of IT Strategy and Integration. In his current role, Viren is passionate about enabling business growth via innovation by providing a seamless omni-channel customer experience. Viren is a founding industry member of the Digital Disruption research Group. Katy Stevens, Customer Programs Manager at Yammer, the enterprise social network. For the past two years Katy has helped grow community for Yammer, and realise success for its customers. Her professional background is in digital communications, community management and public sector innovation. She tweets about these areas (and Melbourne, cats and coffee). Simon is a passionate advocate for enterprise social collaboration, innovation and the potential for businesses large and small to take a leadership role in responding to the threats and opportunities of disruption. He previously served as CEO of HICAPS Pty Ltd, Australia’s leading electronic healthcare claiming business and a part of the NAB Group. Simon has a diverse background with experience in financial services, internet retail, consumer products marketing, media and investment. Simon is a Manager with the Innovation program where he works to enable and develop innovation within Deloitte. He is a member of the Deloitte Social Media steering committee and was instrumental in the launch of @Green_Dot, the Deloitte Australia Twitter presence, and was the first user on the Deloitte Australia Yammer instance. Simon has spent the last decade working with the web, both in front and behind the scenes. Simon is a founding industry member of the Digital Disruption research Group. 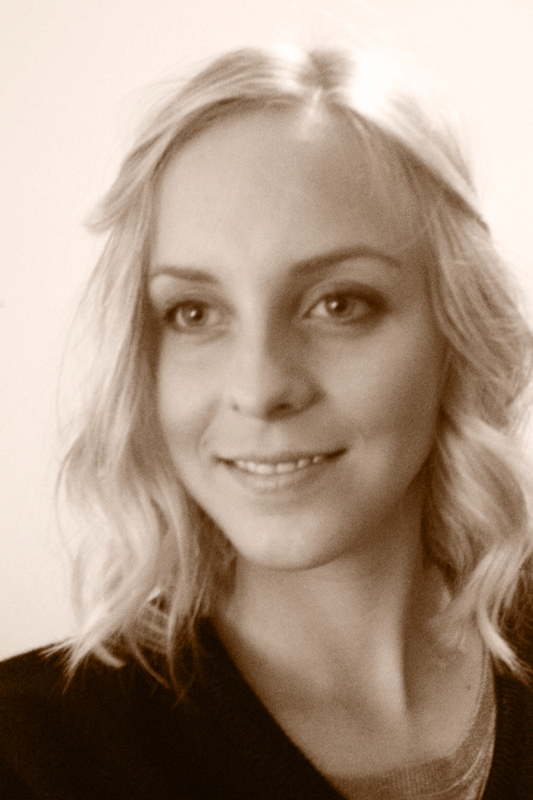 Ella is a research candidate at the University of Sydney Business School. Her research looks at how organisations are engaging staff who work remotely. Ella has an interest in how people organise themselves and how identities are created and negotiated, particularly in the context of new and developing technologies. Having recently moved to Sydney from various other places, Ella sees Sydney as a global city that has the potential to be a pioneer in digital innovation and new ways of working. Ella co-chairs a roundtable on “Digitally Disrupted Spaces”.